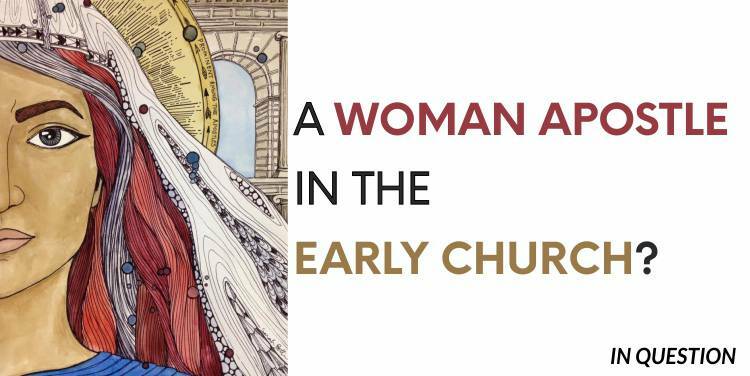 Were there any women in leadership in the first-century church? And does the New Testament provide a clear answer to this question? Some Christians are convinced that Scripture does not allow women to have key leadership roles in the church. For these sincere Christians, women may be allowed to teach other women and children, but women cannot “have authority over other men” in the church. Such people may assume that Paul would have supported their view. If that was true, we would never find trace of a woman apostle in the New Testament. Right? Wrong! Let’s begin with Priscilla, Phoebe and Junia. Who were they? First of all, they are Christian women in the first century. Second, all three are mentioned in the same chapter, at the end of Paul’s important letter to the Romans. Third, they were significant leaders in the early church. One of them is even called an apostle! In his letters, Paul mentions several respected colleagues in the spread of the gospel, including women such as Euodia and Syntyche. Read Philippians 4:2-3. These women—though unfortunately in conflict when Paul wrote the letter—had served alongside him and other co-workers. Romans chapter 16 is like an iceberg that points to the reality that “under the surface” there were many more (unnamed) women leaders in early Christian churches. It is notable that eight women are among the dozens of friends Paul mentions specifically. He describes four women, Mary, Tryphena, Tryphosa, and Persis as those who have “worked hard in the Lord” for the Roman Christians. This clearly suggests influence and leadership (verses 6, 12), since such a description elsewhere refers to leaders (1 Thess 5:12 & 1 Cor 16:16-18).